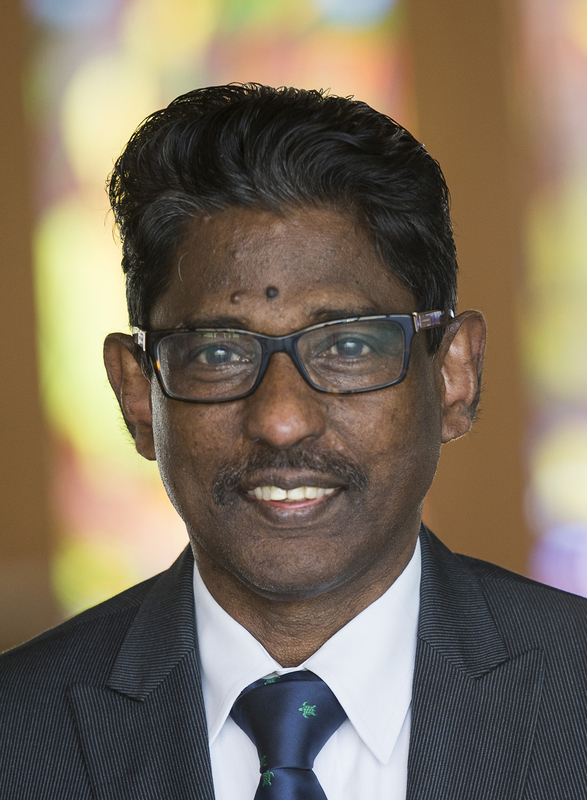 Peter Vethanayagamony [Vetha] is associate professor of modern Church History and director of the D.Min. program at the Lutheran School of Theology at Chicago. 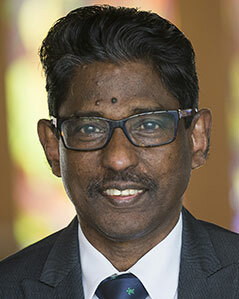 Before joining LSTC, he taught Church History at Hindustan Bible Institute and College, Chennai, India for sixteen years, where he also served as Academic Dean. Vetha has also served over nine years as Outreach Minister and missional pastor in Chicago, besides his pastoral ministry in India. His research interest includes early Indian Lutheranism and immigrant non-western churches in the West. Vetha grew up and received his early education in India. He received the bachelor of theology degree from Serampore University, the bachelor of education from Annamalai University, the bachelor of divinity [M.Div] degree and master of theology degree [history of Christianity] from United Theological College, the master of arts degree in philosophy from Osmania University, the master of arts degree in history from Annamalai University, and the master of theology from Lutheran School of Theology at Chicago. His doctor of philosophy degree was bestowed "with distinction" by the Lutheran School of Theology at Chicago. He is married to Serene, who teaches high school biology. Their daughter is in medical school and their son is a college student. “Serving Body and Soul in Early Lutheran Mission to India,” Lutheran Forum (Winter 2009):36-40. An Introduction to the History of Christianity. Madras: HBI Publishing, 1998. A Hand Book on History of Christianity in India. Madras: HBI Publishing, 1998.